Last week my Mother in Law sent me the words to the song "One Day at a Time". Today, my Mom wrote on her Facebook, "My daughters are passing in the air....Danina coming in and Katy going out in Houston! 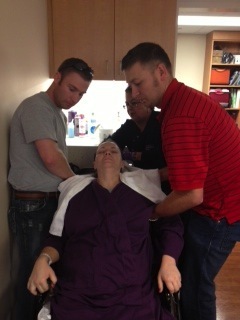 I am so proud of my family for giving selflessly of their time to help our "Kristi" get better. And my honey has been steadfast in Houston keeping up with all that is required. " You can do it Kristi, one step and then the next and then breath, take one step and then the next and breath. 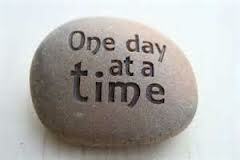 "....... One day at a time. Lord give her the strength to do every day what she has to do!" Then today's devotional from Jesus Calling said, "Your gravest danger is worrying about tomorrow. If you try to carry tomorrow's burdens today, you will stagger under the load and eventually fall flat. You must discipline yourself to live within the boundaries of today. It is in the present moment that I walk close to you, helping you carry your burdens. Keep your focus on MY Presence IN THE PRESENT!" We have needed this perspective. All of us! Kristi, because she is feeling bad much of the time right now, and the thought of a year's recovery sounds unbearable in some moments. She continues to say, "This already feels soooo long!" Her pain, fatigue, no appetite, and constant battle with nausea leave her in a place where she doesn't feel good enough to read, converse much, write, color, do word puzzles, or sometimes even watch a movie or listen to music. This makes the days go by very slow. As caretakers, we need this perspective because we are tired. Physically tired from all the travel and covering the basis at home. Physically tired because care has required little sleep for numerous reasons. Mentally and Emotionally tired from walking with Kristi through much suffering. 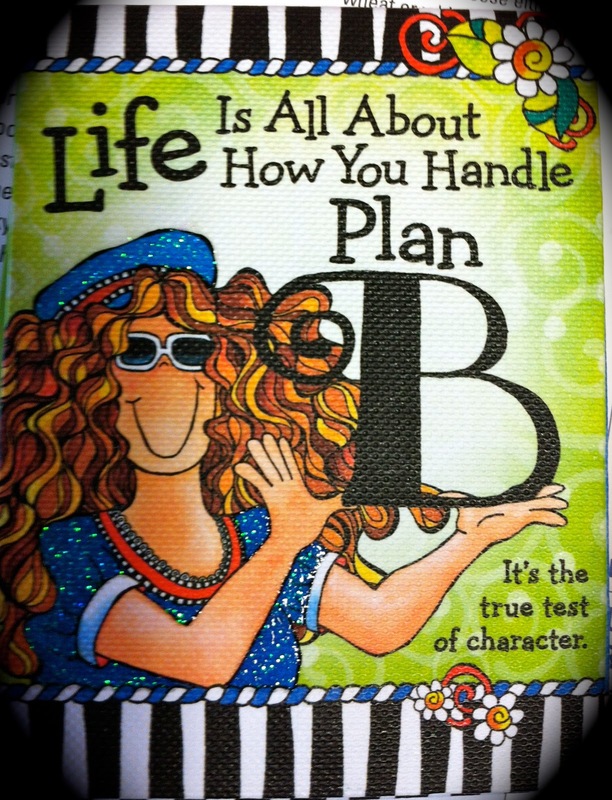 We have needed this perspective as we have made plans to care for Kristi, and then it seems everything changes. Delays! I personally needed this perspective as I drove in from Arkansas on Sunday and was supposed to leave Tuesday to fly to Houston. Instead, God gave me two days of rest as our home was hit with a huge blizzard and my flight was cancelled. While I enjoyed being "snowed in" and resting, I was worried about getting to Houston. I needed to arrive in time to offer the 2nd set of hands that are needed to move Kristi, and to be the female present as Katy was flying out this morning. God worked out the details and I was able to get on a 6:00a.m. 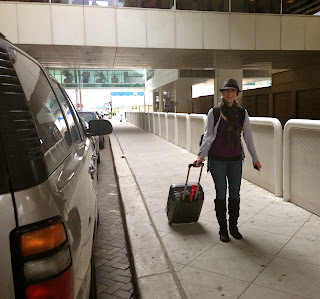 flight this morning and my taxi was pulling up to MD Anderson for Kristi's Dr.'s appointments within 30 minutes of Katy's shuttle taking her to the airport. Katy needed this perspective as she was grieving as she left Kristi in pain at her CT Scan and returned to her normal life of caring for her two little boys! John and Aunt Amy have been taking turns caring for Jackson and Caden. As I pulled into MD Anderson today I thought about the two worlds we are all living in and even how the weather and creation reminds us of that!! It was an early morning for all. I got up at 3:45a.m. and Dad, Katy and Kristi were up at 4:30 a.m. They left for the May's Clinic at MD Anderson this morning at 5:40am. for Kristi to begin the long process of having her CT Scan. It was a rough process being nauseous and needing to drink the barium sulfate for the scan. It was a painful process having to lay on the hard table for the scan. Katy left Kristi during this process and had to give herself a pep talk to leave Kristi while she was struggling. I arrived just as they were leaving the scan and heading to see Dr. Levenback. 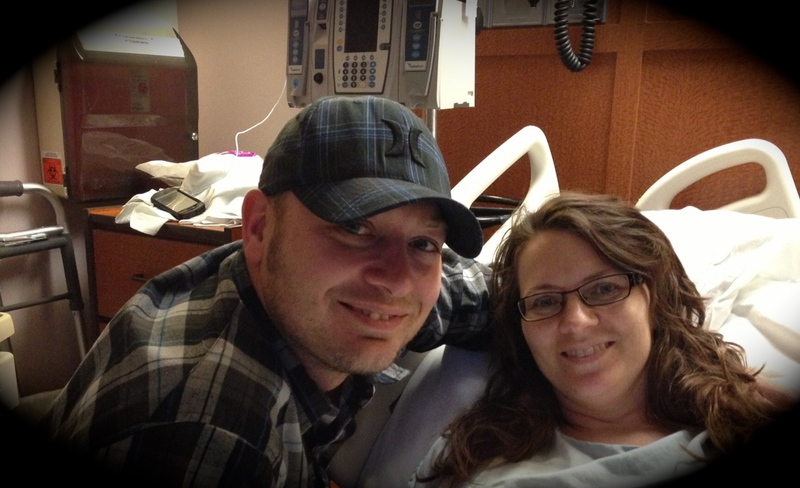 Kristi's CT Scan showed that she has a partial obstruction in her small intestines. Because it is not a complete obstruction, they want to wait and give it time to resolve itself. They said in most cases, this will occur apart from surgery. Please PRAY for this specifically. It is making her very miserable and sick. They think that this may be what is causing her nausea and would explain the reason for her nausea becoming worse at night due to more food being trapped. We are to put her on liquid and low fiber diet to let the intestine rest. The scan also revealed that there is still fluid in the abdomen where she was treated last week for the blood clot and infection. There were no signs of another blood clot. It is much less fluid, but still concerning so they will leave the drain tube in her abdomen and keep her on the antibiotic until the drain tube is removed. We are to continue to monitor the amount of fluid. They were also able to remove two stints that were in her kidneys today that they believe may be the root cause of her back pain. There are some slight complications with her reconstruction, but they also believe that will heal itself as the fluid is removed. Please pray for the fluid to continue to diminish, for healing and against infection. Over the past two days, 4 Dr.'s have examined Kristi and have discussed all of this. Today, while waiting in the room while they were talking, we prayed that God would unify them in their decision regarding her returning to Arkansas. Kristi is anxious to return home, but fearful to return too soon because no one there would understand or know how to treat her. The Dr.'s feel some concern as well, but also feel that returning home will help her with her overall recovery. Please pray with us that over the next two days God will clearly reveal what we need to do (Psalm 32:8) The Dr.'s suggested we watch her over the next couple of days on a new diet and see if we see improvement or see her get worse. If she is the same, or improved, we can take Kristi home on Saturday. Pray also as we are looking into an Angel flight for cancer patients because Kristi is too weak, sick, and in too much pain to drive. If we can arrange this, I would fly home with her, and Dad would drive the car. Pray she can drink a lot of fluids to combat the antibiotics and many other medications she is taking! Today was a 10 hour day with probing and prodding from the techs doing the CT Scan, and visits and exams with 3 Dr.'s, an ostomy nurse, a social worker, and a psychologist. The picture below perfectly illustrates the impact of this day!! I left Dad and Kristi waiting on her prescriptions in the pharmacy and went to make her next Dr. Appointment, and when I returned I found them BOTH sound asleep! 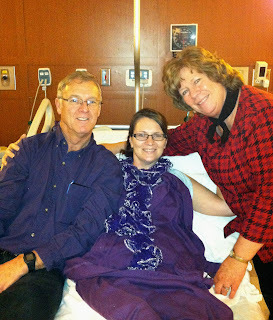 "The Patient and The Care Giver"
It is good to see how God goes before Kristi. Today, as we were sitting in the waiting room, a woman about 60 years old came over to Kristi and said, "I think we have the same thing". She then proceeded to tell us she was seeing Dr. Levenback and he had told her that he had someone coming today who was only a month out of the Full Pelvic Extenuation. She told Dr. L that she was going to find her.....and she did. She told Kristi how rough the recovery is, but that she is 3 years out now and is full of life again. 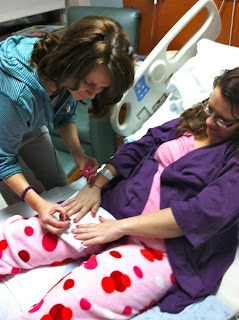 She encouraged Kristi that she will feel better again, and she will adjust to her new normal. Ten minutes later, another woman around 35 gave Kristi her name to contact as well. She was 11/2 years out and said to contact her. Amidst feeling so bad, it was an encouragement to see them both walking and having energy since Kristi sits in a wheelchair and only walks with a walker. They did not have all that Kristi has had done in the same manner, but its the closest Kristi has found to having someone who has gone before her to talk with. 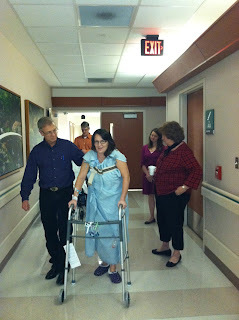 Praise God for this picture of recovery for Kristi on a day she felt discouraged! One day at a time, sweet Jesus,"
Give me the strength to do everything that I have to do! Yesterday's gone, sweet Jesus--And tomorrow may never be mine. 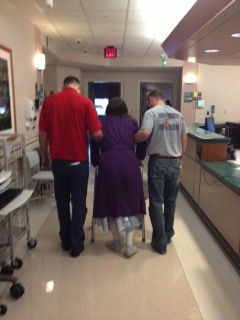 Kristi and her Care Givers! HELLO from Houston! :) It's Kristina, Katy and George here! We have been in the Apartment since Friday night as you know but we have STAYED here! Hooray! 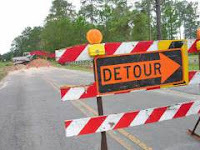 We have experienced some good encouraging moments but have also still had some moments of discouragement as well. Those times typically come in the evening. That's when she struggles with nausea, fever, and overall discomfort. We have really late... nights here. Dad and I are usually crawling into bed around 1:30. You can all pray for the evenings to get better! We are hoping we see something better tonight. Saturday night was by far the worst with a fever right at the cusp of going to the Emergency Room. One point higher meant we were loading her up. We were able to bring it down after a few hours and were very grateful and so was she. That felt upsetting to her instantly after her experience being home for one night and then heading back to the ER the previous weekend. We didn't want a repeat! She's having a good day today. We are giving her anti-nausea meds all day today to see if that will help with this evening even if she's not feeling nauseous. Also, going to try to get her up and take lots of short walks opposed to two long walks. Right now we are thinking it's more important to not beat her previous walking record and wear her out to where she's not up to walking again! We have appointments tomorrow and on Wednesday. Those appointments will hopefully give us some more insight on her progress and when she can come home. We have not had Internet since we have been back to the apartment. The owner of the apartment came and replaced the Modem a few hours ago so now we can update you all! We had to wait til Monday morning and that felt like a long wait! We also lost all water on Friday night when we got back to the apartment. We got here about 7:30pm and needed to do some "nursing" around 9pm and that is when we realized we had NO water whatsoever! Definitely not what we needed at that moment for sure. But luckily we were able to accomplish what we needed to with Bottled water and had just replenished our supply that night!! But with no hot water meant we had to boil it first! :) The office told us they "were working on it". After our nursing was done it was back on! Then we lost it again last night and didn't have it again this morning BUT now we have it again! 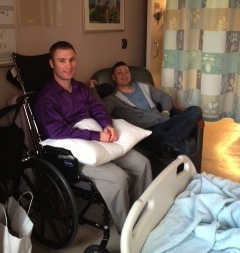 Billy left Friday morning to return home to Isaiah and Alyssa and Katy flew in to help Dad with Kristi's care. Billy said it was bitter sweet for him. It was painful to leave Kristi, but joyful to see his children. On Friday, late afternoon, Kristi felt well enough to be discharged from the hospital and return to the apartment. Pray for Katy as she left her two little ones at home and is away from them for the first time. It is a big job for the caretakers to stay on top all of this medication. We keep a good journal and set alarms for the night time. Katy arrived and got the bottles all organized! Dad used his creativity to come up with a TV Tray for Kristi to eat her food on. physical therapist came and gave her a work out. Last night they had a few complications but Dad and Katy showed off their true nursing abilities! Today started hours before I wanted it to, but I was eager to catch my plane to see my sister today. When I arrived Billy picked me up and we arrived at the hospital a few moments before Kristina went into yet another surgery. 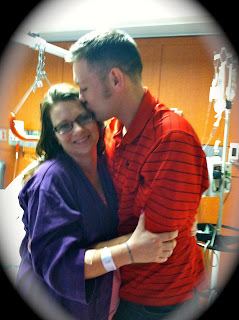 We all walked in to the pre-op and I gave Kristi a big hug and talked to her for about five minutes. I was not mentally prepared to meet her in that room and as I looked around I noticed there were several other people in that same room. I started to feel hot, faint, nervous, anxious and sad I guess. I felt a real need to get out of there so started trying to figure out how to get out of where we were and finally came to a hall. That hall made me feel no better because it was a constant stream of patients being pushed someplace. I was aimlessly walking looking for a secluded place to gather myself for a moment. I was overwhelmed at the amount of patients being treated, the1000's of caregivers and the size of just the building we were in. Everywhere I looked was another sad story. Meanwhile, Kristina was being pushed back into her surgery room. After a moment I went and found Billy and Amy again to wait on the Dr to brief us after surgery. Kristina came out after having fluid aspirated from her abdomen and was pushed back to her room where Amy,Billy and I did what we could to comfort her. As Billy and I left tonight to come back to the apartment, I was sad that there was very little that we could do to comfort Kristina today other then rubbing her neck or legs. Im praying tomorrow is a new day for her and the countless other patients fighting the battle with cancer. Kristina is a strong women and a fierce fighter and I'm blessed to have as a sister. I look forward to doing the little things that seem so small to me but can help her like rubbing her neck when she has a headache. Im grateful for all her previous caregivers and my family, because I know they have dealt with much more in the past few weeks than I did today. My perspective after today has been forever changed. — Joshua at MD Anderson Cancer Center. Read the following update for the latest update on her recovery from this small surgical procedure. 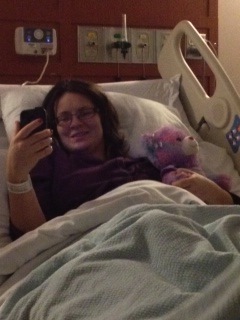 Kristi's temperature has maintained and her vitals are steady following the procedure yesterday. She was in significant pain throughout yesterday and the night primarily due to them putting in another drain into the abdomen to work to prevent infection again. In addition, she had fallen behind on some of her medications in this process. Nurse "Amy" stayed on top of it all night so she could get back on track and be ahead of the pain today. The Dr.'s believe she has respond well to the antibiotics for the infection, and the procedure to drain the fluid was successful. They explained that the pressure from the blood clot and fluid in the abdomen has complicated the internal healing process some, but they expect her to do well now that the fluid is removed. She will need to stay in the hospital and in Houston a little longer than expected in order to monitor this healing. Please pray that God will heal her internally and that they will not need to do any more procedures or surgeries to complete this process. Her Dr. told her that this is two steps forward, one step back. It should not be a total regression. She has felt weak again and had little appetite, but has felt stronger as the day has progressed. 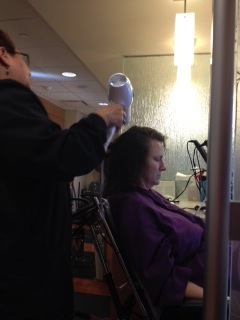 MD Anderson offers a free salon for their cancer patients and because Kristi has been too weak to stand and shower the past couple of days, her caretakers took her to the salon to get her hair washed and fixed. This made her feel much better, but at the same time was met with many mixed emotions as they watched other women getting their heads shaved, and were purchasing wigs or other coverings for their heads. Kristi face timing with Isaiah and Alyssa. Pray for all of them. Kristi and Billy are missing the kids and the children are missing their parents. They are sleeping in their bed at night to feel close to them. Katy said they had lots of questions for her last night as she tucked them into bed. 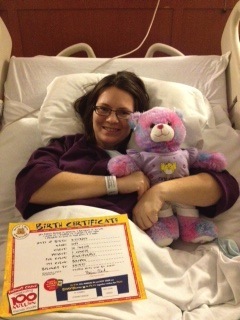 Breck and Kacey (Jeff & Amy's kids) made a Bear named HOPE and sent it to Kristi. Kristi finally felt well enough for a little walk. 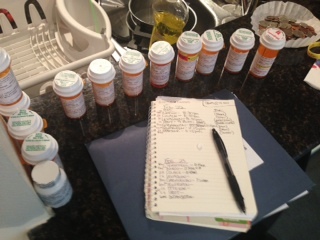 They are adding potassium and magnesium to her long list of pills to take daily. She also needs to drink a lot of fluid which has been hard since she hasn't felt well. She is working to "make herself do as the Dr. ordered." It is time for the next "change of the guards" tomorrow. Amy flies out in the morning and Dad flies in tomorrow night. Thank you God for modern medicine and modern travel that makes all of this possible!! About 2:30 today Kristi was returned to her home away from home here on the tenth floor! It looks like we will be here for at least a couple more days. They were successful in draining what they called infected blood clot from her lower abdomen. The doctor explained it had originated from a blood clot that had turned into a pocket of fluid and became infected. They did leave a small drain in this area that they will continue to monitor. During the procedure they found a few other smaller areas of fluid and were able to drain those as well. This afternoon she has continued to battle nausea and a temp. We are finding that phenergan is our new best friend. It not only takes away the nausea and vomitng but puts her straight to sleep. That's a great way to pass the time while hanging out here! Billy and her both are currently sleeping! The excitement of our day was Joshua's arrival this morning and he's taking his turn enjoying this luxury wheelchair that Kristi has for her recovery. Today we are thankful for it because it provides extra seating in this quaint little room! The Dr.'s have determined that there is too much fluid in the abdomen for Kristi's body to absorb so they will move forward with the needle procedure done by the radiology oncologist to remove the fluid. They are expecting her to go in for this procedure any minute. Kristi's fever has continued to spike while on antibiotics so they are concerned this fluid is causing an infection. It is undetermined at this time where this fluid is coming from. Please pray for wisdom for the Dr.'s and that this procedure will produce the needed results. Kristi is extremely nauseated so has little appetite. This all combined has caused her to physically be weak again. Our prayers were answered last night for her to be moved back to the 10th floor where the nursing staff understands her situation and her treatment. 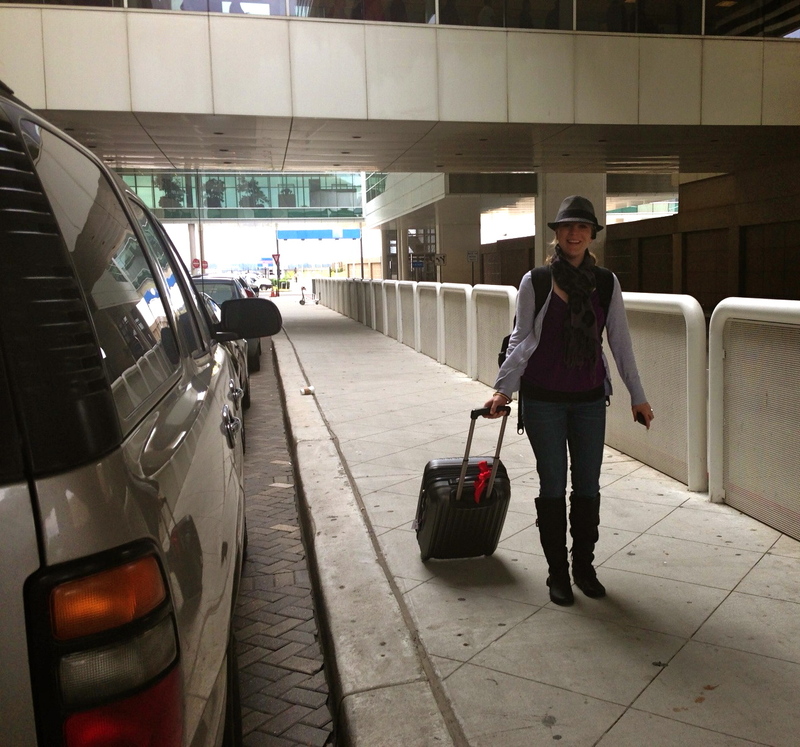 Amy is with her and Billy is currently at the airport picking up Josh who is coming in for his shift of care taking. We are so grateful our parents had 5 children!! It is taking all of us and more! 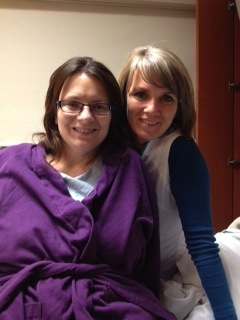 Pray also for Kristi's heart and mind as this setback is discouraging. She is missing her children and was looking forward to being released to return to Arkansas this weekend. Billy is under some tough time constraints with his work at the end of this week and wanted to be able to help Kristi travel home. With all of this said, none of us want her to leave Houston and MD Anderson too soon. We are trusting God to clearly reveal what decisions we need to make next. Our lease on our apartment is up on the 27th and we aren''t sure they will rent it out weekly. and he will go before us in all that is needed. I've been waiting for news on the final analysis and treatment of the CT Scan before updating the blog but still nothing. The preliminary report was that they did find some fluid in "there". The resident did not know if "there" meant the pelvic wall or abdomen. The Onclogist Fellow came by for a visit and basically informed us that Kristi will for sure stay tonight. She needs to be 48 hours fever free before sending her home. She also had a visit from the plastic surgeon who ruled out the infection being in the incisions or reconstruction area. They have continued to give her antibiotics via her IV since we checked in yesterday afternoon. It's supposedly a great medication that covers a lot of organs! I'm getting the gist that sometimes these infections happen and we may never know the cause. Her blood tests this morning showed that her white blood cell count came down from a 12.5 to 11.5 The goal is 10! So we praise God that whatever is bothering her the antibiotic is being effective. Nausea has been her greatest battle this morning. They have finally got it under control with two types of medication but both make her very sleepy. We've tried to encourage her to do the PT execises that she can do from bed and then maybe tonight we'll try walking. She still is very weak and lacks any sort of appetite. Scheduled leave date for Arkansas to stay the same so that Billy can help in transporting her back home. Josh's arrival tomorrow with new energy! Todays Jesus Calling begain with Thank Me for the conditions that are requiring you to be still. Do Not spoil these quiet hours by wishing them away, waiting impatiently..... We find ourselves Waiting again today but what/who is it that we are waiting on? Yesterday when I (Amy) arrived and Danina trained me in all my nursing duties as we passed the baton of caretaking, it occured to me that all though this was going to be a full time job we had moved into the phase of waiting on Kristi's body to do the hard work of healing and adjusting to her new normal. Kristi had a good day yesterday, she enjoyed some time outside and ended her day with a long and successful walk. >We awoke this morning needing to say goodbye to Danina and Worley. Billy took them to the airport and Kristi and I had a quiet morning together waiting on the home health nurse to come. She got all good reports from the nurse once she arrived and then we moved into waiting on the physical therapist to arrive that afternoon to assess her before setting up a PT plan for her journey to recovery. 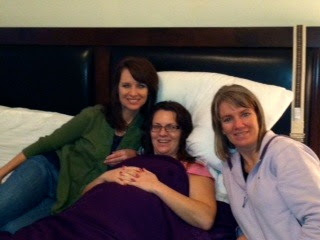 As we ate lunch Kristi began to complain of feeling dizzy and we layed her back in bed to wait for the PT to arrive. At his arrival and taking her vital signs we began to discover that her symptoms had went from nausea to high heart rate of 101. She pushed through her assessment and then we thought we'd wait again to see if symptoms normalized. 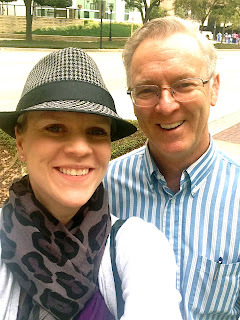 Within the hour, all her vitals had elevated and we found ourselves loading up and heading to the ER after consulting with the Oncologist on call.... and there again we found ourselves waiting! As of now it's 2:00am and Billy and I have been waiting in her room on the 15th floor for her to arrive from her CT scan and now that she's here we wait for the results! We arrived here at 4:30 this afternoon and watched the hours tick by as they gave her 4 bags of antibiotics via IV and took numerous cultures to lead us to this point of needing a CT Scan to assess for abscesses in the pelvic wall and abdomen. We had some giggles as we waited and even a few tears. Hard to be back here after being released and enjoying a good day outside the walls of the hospital. Billy has done a great job rubbing her feet as we pass the time. Gods grace is Sufficient. We find ourselves praising Him often on this journey as He carries us through the ups and the downs. We find ourselves patiently waiting. None of us feeling overly anxious outside of when we first arrived and Billy saying that maybe they needed to take his vitals! 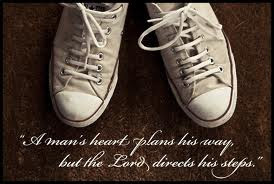 We wait not on doctors or medical records or CT Scans, but we wait upon the Lord. John Wallers song Worship While I'm waiting has been a theme song for Kristi on many occasions during her Cancer walk. He states, "Patiently I will Wait, And I will move ahead bold and confident taking every step into obedience..." Kristi has been so faithful to walk in obedience every step of the way and once again we will walk by faith and see what lies ahead. She rests peacefully on her bed and I'm about to crawl into my pull out couch and we will slumber here together on the 15th floor. It reminds me of another time Kristi and I slumbered together in a crazy place as we took her off to College in Oregon. We stopped in the wee hours of the night in Idaho at a State Park to pull over and catch some sleep before carrying on. There was not enough room in the van for all of us to sleep so she and I tossed our sleeping bags out the door and slept on the grass under the stars! We awoke the next morning to the sounds of geese all around us! Life with Kristi is always an adventure and I call it a privilege to get to walk it with her. In the counseling world we work in we often talk to people about how their view of their Heavenly Father is affected by their view of their Earthly Father or Mother. Their view of God is not always accurate to who God is according to His Word and His involvement in our lives. Our parents, George and Patricia Nay, have given us an incredible view of God's love: faithful, unconditional, sacrificing, enduring, and with a strength that comes from both justice and mercy. We get to experience this love and I hope you see it too in this story! to bring more cheer to this whole process. Below, she bought an angel and decided we needed to bedazzle her walker. We added a couple of other items made by Kacey and one given by Melissa that says, "The Lord is my Strength and my Song." The nurses said she is starting a new trend on this floor!! They have also said that they love coming in Kristi's room. That there is "life" and a focus on the future in this room that is sooooo refreshing!! The JOY of the Lord is our strength!! Kristi even has written on her cup "I have the Joy, Joy, Joy, Down in my heart. 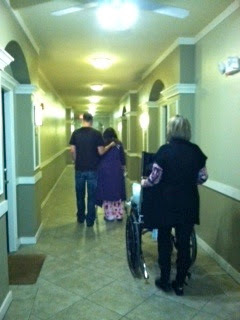 and anytime she needed his strength to help her move and walk. He holds onto the belt she wears under her arms to steady her and hold her up when she is weak. 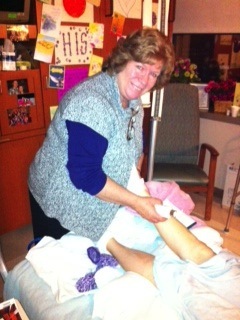 Worley and I have spent the last couple of days being trained by the Nurses and Dr.'s, but primarily by "The Parents". There is nothing like a parent's love, devotion and watch care!! Mom and Dad stayed 8 nights with Kristi before leaving her overnight by herself. One funny story that occurred was when one of the nurses asked Kristi if she was an only child. When Kristi answered no, she asked, "Then are you an only daughter?" Kristi laughed and said, "No, I'm one of 5"!! Her nurse, a classy African American woman laughed heartily and said, "Mama and Daddy really love you. Especially Daddy! He acts like you are an only child. Mama's usually dote on their children and are constantly here to take care of them, but Daddy's usually check in to make sure all is well and then leave for a while." Truthfully, they both rarely left Kristi's side over the past 12 days, and it was really hard for them to say goodbye last night. Pray for them, as those of us who have already left, know it is so hard to mentally switch gears from this cancer world to the rest of our world. Pray for them! Kristi gets her exercise by walking to the elevator in the evening and then riding up to the 24th floor to a beautiful observatory waiting room. We can look over the night lights of Houston, and since we were the only ones in the room, they talked me into playing the piano and we even sang a little! 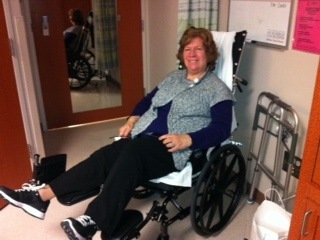 At the end of the day, we are all glad for the wheelchair....Mom was happy to put her feet up! The above song is the groom's song played as Billy and his guys walked in to Kristi and Billy's wedding. Billy didn't know how important and how real that song really would be for him. I take you Kristina Dawn Nay to be my lawfully wedded wife, to have and to hold from this day forward, for better, for worse, in sickness and in health, for richer or poorer.......till death do us part. Oh that is easy to say on your wedding day. You think if that happens you will at least be 80 and then you'll do it...and it won't be hard. Well, backspace about 44 years to 36 years old and facing for better or worse, in sickness and health...this is our son in law today. And add to that.......he's a guy that doesn't like doctoring things or dentist things much anyway. Well, let me say.......he has risen to the occasion! We are very proud of him and his care of Kristina for these past two plus years of illness and scans and tests and doctors. It's a road that no one understands when they head down it. They just step out one foot at a time and hope they don't tumble off a cliff in the darkness of the uncertainty of this journey. I quote the first Dr she had that discovered this back in November 2010. " I am sorry, but this is going to be a long, hard road." What does that mean, where is this road going to take us, what are we going to go through? What about our jobs, our children, our finances? What about our future? Is this painful.........yes!) But through it all you can endure and lot of people help you. 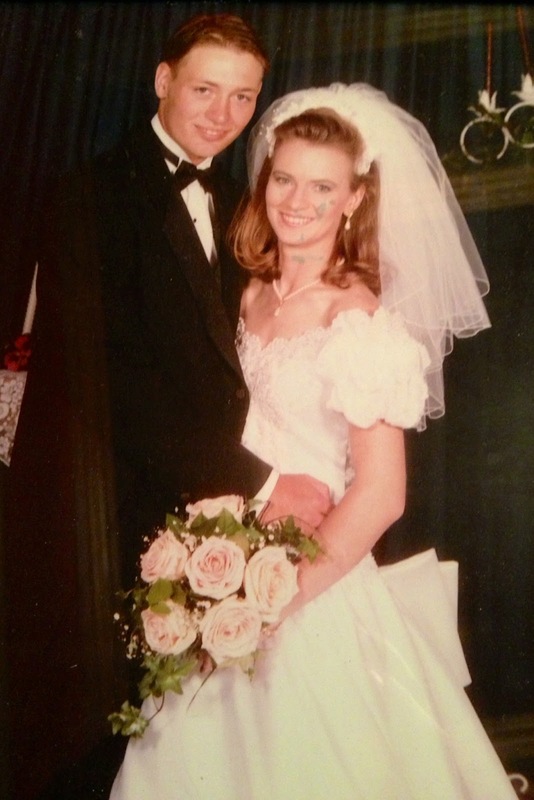 Thank you Billy for loving her through every step, just like you promised back in '97 in that pretty wedding in the church on the hill on a sunny day in Colorado! You said "I will be here"....and you have been by her side through every step. Friends, I just took an "alert moment" to catch up on life outside this hospital room. A heartfelt THANK YOU is not enough when seeing the massive amount of support and encouragement you are all coming forward with. I am so grateful for the way people are loving on my kids, my husband, myself and my entire family. What a beautiful thing to watch unfold as God uses his entire church to come together toward one cause. How humbling, but deeply appreciated. May someone pay it forward to you one day as you have been so gracious to us. — at MD Anderson Cancer Center. I am reminded of a great story in Exodus 17:11-13 as I think of what Kristi has written and the battle she is fighting. 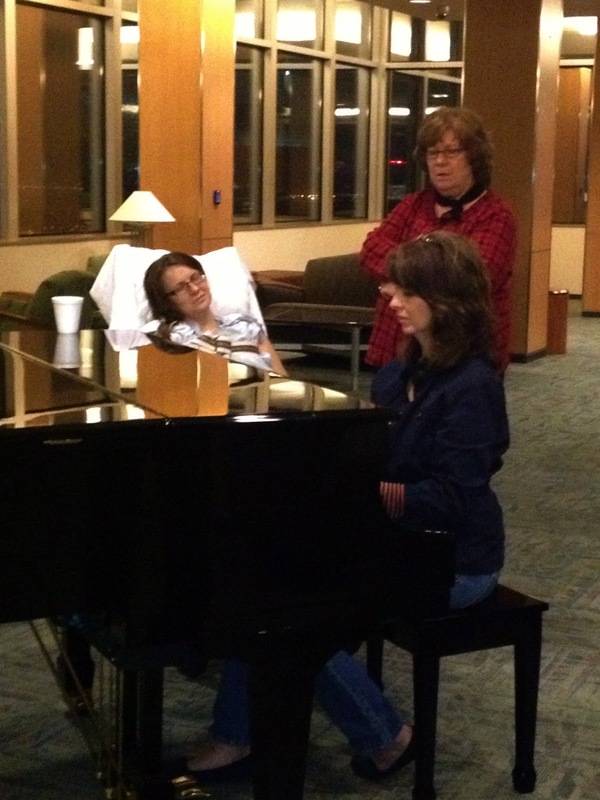 Also, the battle we as her caregivers are fighting to help bring Kristi back to health. Joshua did what Moses ordered in order to fight Amalek. And Moses, Aaron, and Hur went to the top of the hill. It turned out that whenever Moses raised his hands, Israel was winning, but whenever he lowered his hands, Amalek was winning. But Moses’ hands got tired. So they got a stone and set it under him. He sat on it and Aaron and Hur held up his hands, one on each side. So his hands remained steady until the sun went down. Joshua defeated Amalek and its army in battle. As Kristi said, thank you to our extended family, The Body of Christ in many different communities, for holding our arms up in so many tangible ways! You have encouraged us and strengthened us and are helping us to not become defeated by this overwhelming battle! We Praise God for You!! 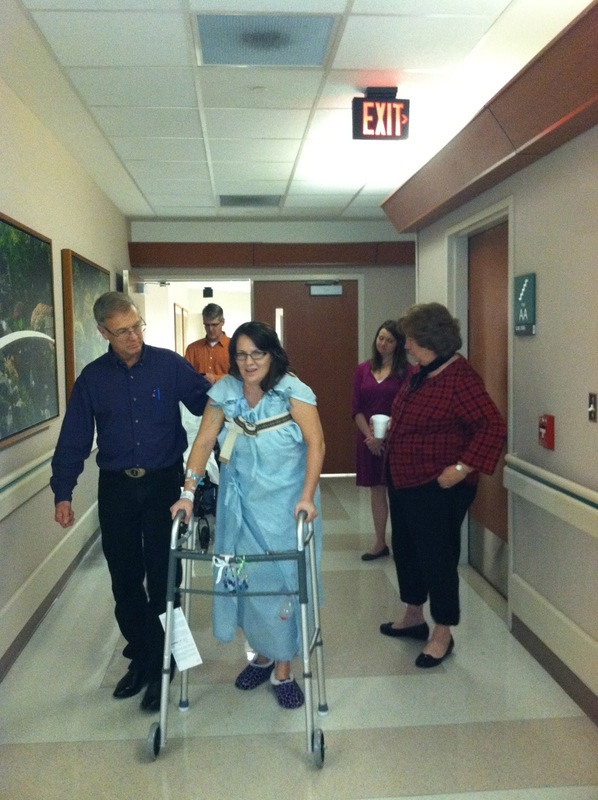 These are pictures of Kristi getting out of her hospital room. Mom has taken her upstairs to the observation room to look out over the night lights of downtown Houston, and Dad has taken her on a stroll to see the fish. Today, they even wheeled her outside for a moment to get some fresh air. Her wheelchair is kept at the proper angle for her to keep proper blood flow to her organs and to be less painful for all of her incisions. Today, she walked twice as far as she has before and is learning more self-care. Worley and I look forward to seeing how much she has improved as we arrive tomorrow. These were the final words at the end of a text from Kristi today. 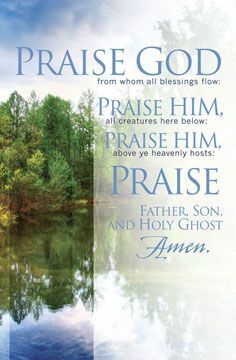 We are all Praising God! Today we received the final pathology report. It came back showing they were able to get clear negative margins on all sides of the cancer. The smallest negative margin was 7 mm which they consider very good! The cancer had infiltrated most of the vaginal cuff and had grown into the pelvic wall and tissues between the bladder and rectal wall. This confirms the necessity of this radical surgery. It took the morning for her body to recover from the blood loss, but by afternoon she was able to walk again and went twice as far as yesterday!! Go Kristi Go!! She also was able to eat some peach nectar, broth, yogurt and a cracker today so this is great improvement. She continues to have daily training with the occupational and physical therapists. 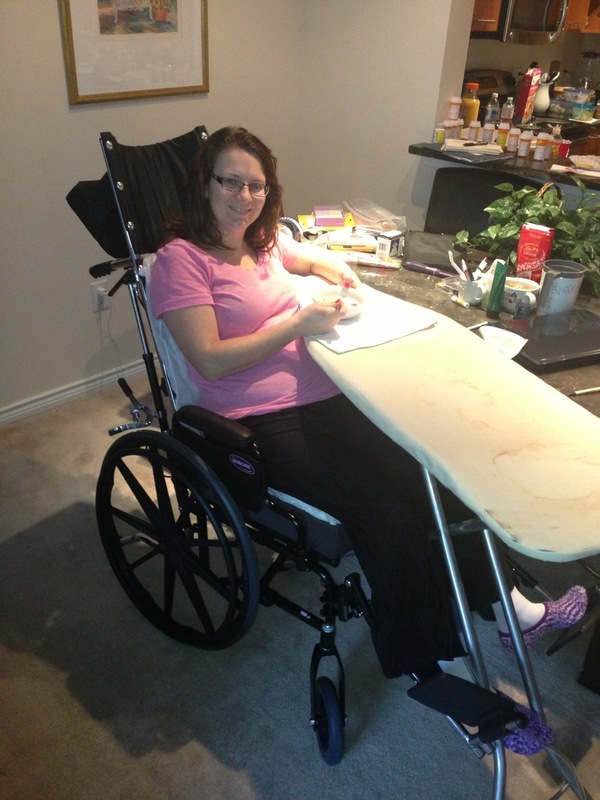 Pray that God will gaurd Kristi's heart and mind as she adjusts to her new normal with food and physical limitations. Please pray specifically for her as they took her off of intravenous pain medications today and began to try new medications that can be given orally. This transition of medications are making her feel restless and causing some other side effects. I was able to go see Isaiah and Alyssa last night with Josh and Katy before flying home today. Isaiah proudly showed us his report card and we all celebrated with him. Alyssa showed me what she got for her birthday and was most excited to show me her fish from her Mom, her candy bouquet (which still does have a little candy on it) and her Easy Bake Oven. Then Alyssa and Jackson sang and danced for us and did a show on the "fireplace stage" as they always do. It was good to see them. They had been able to Skype with Billy and Kristi on Tuesday night and that had helped them tremendously. Technology is a gift in this case. We are so grateful for Billy's Mom, Leona, for helping keep their lives as stable as possible without their parents. Josh and Katy and Close Friends have helped get them to basketball and dance and gave the kids a really fun weekend! Billy returns home tomorrow and they are both excited to see him. They loaded me up with pictures and letters for me to deliver on Monday when Worley and I return to Houston. Pray for Billy and all of us as caretakers that we will stay healthy. We have all gotten ran down some and are fighting off different things. As I end this update. I think of the song "I will Praise You in the Storm". Today we got good news, but it is good news in the middle of a very big storm. Thank you for strengthening us all as we continue to praise God in this storm of cancer and this rare and life altering surgery.